The refurbished Dakota, called ‘Parushurama’, bearing tail no VP 905 is now part of the IAF vintage fleet. It will fly next week to Jamnagar. RAF Benson is a typical Royal Air Force Base tucked away in the Cotswolds, a pretty district in central UK, not far from Oxford. Primarily a helicopter training base, it has been home for some months now to ‘Parushurama’, the refurbished Dakota bearing tail no. VP 905 that is now part of the IAF vintage aircraft fleet. On a cold spring morning Thursday, the IAF symbolically took over the completely refurbished aeroplane that was part of the IAF’s first transport squadron, 12 Squadron. Given a tail number that belonged to the first Dakota that landed in Srinagar on 26 October 1947 with troops of 1 Sikh and saved the airfield from falling into the hands of Pakistan-backed raiders, it joins two other aircraft as part of the IAF’s small vintage fleet, located at Air Force Station, Hindon. All that is left to be done is for the aircraft to be flown next week to Jamnagar from Coventry on what is bound to be an adventurous ferry through France, Italy, Greece, Jordan, Saudi Arabia, Oman and across the Arabian Sea. It was 2008 when Air Vice Marshal ‘Tiny’ Kumaria and Mike Edwards, a British Airways pilot with a passion for restoring old aircraft, put into motion an initiative that was long overdue. 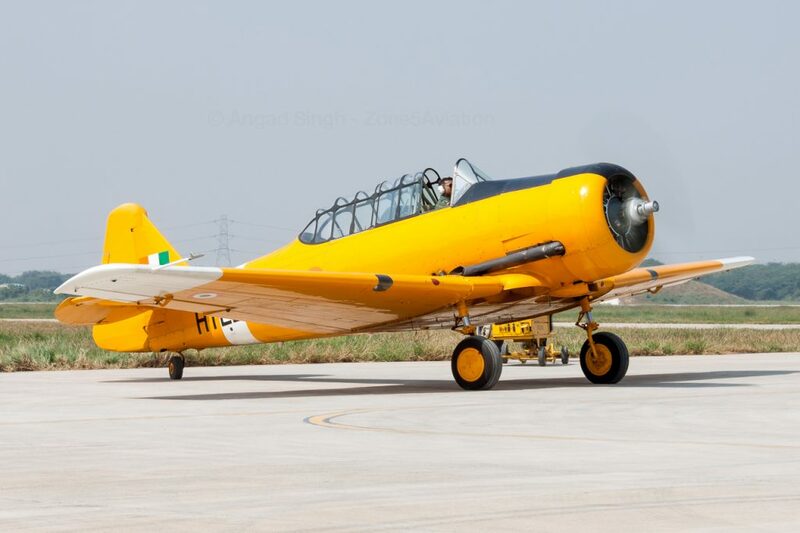 It was to preserve the historical legacy of the Indian Air Force by restoring aircraft that have served it with distinction over the years. Following a presentation by Edwards to the Air Force commanders’ conference, and after gaining support from Air Chief Marshal Fali Major, the project was up and running. The period 2012-2017 saw two aircraft (Tiger Moth and Harvard) getting refurbished in the UK by Reflight Air Works, crated and flown to India, and reassembled under the watchful gaze of Edwards, who had by then been appointed the chief adviser of the IAF vintage aircraft fleet. The IAF played ball, trained a few test pilots to fly these vintage aircraft and, over the last few Air Force Day parades, these aircraft have enthralled viewers with their flypast. It is time, however, to get to the Dak story. It was 2011, and I was the assistant chief of air staff, operations (space), at the Air HQ. One of the projects that I handled was the vintage aircraft fleet. Air Commodore Chandrasekhar (Retd) is a spirited veteran, and a Dakota pilot himself. Over a cup of tea in my office that year, we brainstormed about how the IAF could accept a Dakota as a gift from Rajeev Chandrasekhar, his son, who was also a member of the Rajya Sabha. 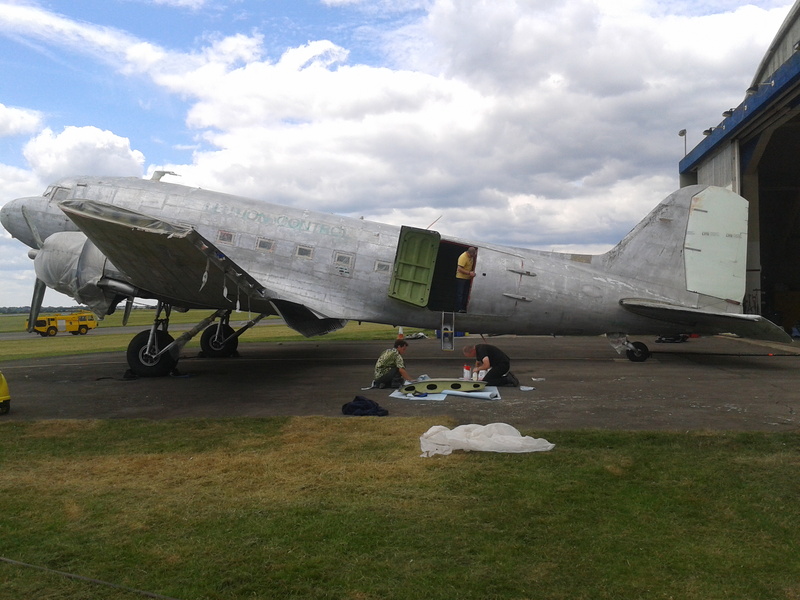 Rajeev had bought an old Dakota from a group of aviation enthusiasts in Ireland, and had roped in Edwards to find a way to fly it to India, where he wanted to gift it to the IAF. The only problem was that the Ministry of Defence (MoD) of the time was least interested in supporting it, and while notes flew thick and fast between Air HQ and the MoD, the Dak languished in Coventry in a ‘basic flyaway’ condition, but without a home in India. Making matters worse for Rajeev were the changed rules, because of which he had to refurbish the aircraft completely before flying it out to India, at no small cost. But that did not faze him. In 2014, Air Cmde Chandrashekhar’s dream was realized when the Modi government supported the project, and the IAF pitched in vigorously by funding the installation of the latest navigation and communication suites, also making it fit for static-line airdrops that could see IAF skydivers and paratroopers jump out of it soon. 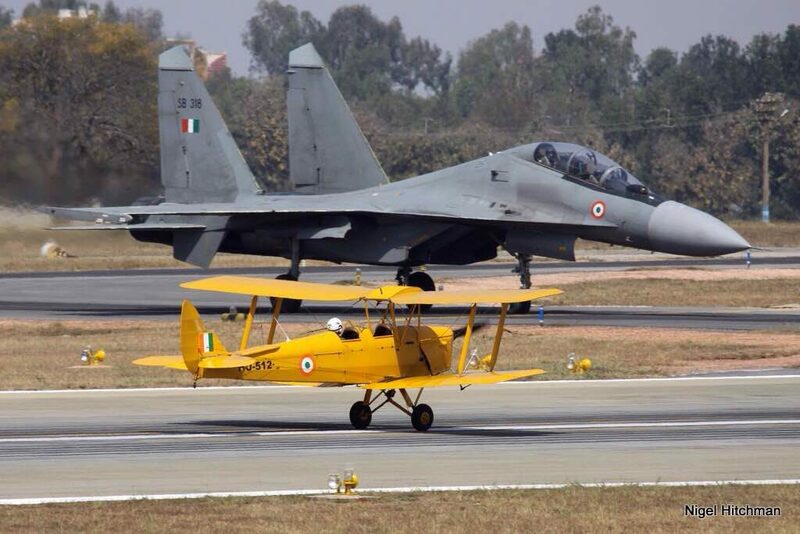 The Royal Air Force has been generous in more ways than one to ensure that ‘Parashurama’ gets home in time. Edwards acknowledges the enthusiasm and support that he got from the IAF’s current air chief and vice chief, and is eager to see ‘Parushurama’ flying in the Indian skies soon. It is all but certain that the next flypast on 8 October will see the IAF’s Dak, flanked by the Tiger Moth and the Harvard, stroll over the Hindon runway in front of thousands of spectators before giving way to today’s supersonic jets. The next two aircraft that could find their way into the vintage fleet’s inventory are the Spitfire and the Hurricane, and aviation enthusiasts in India will wait for the day when the two WW-II legends engage in a mock dogfight on an Air Force Day sometime in the next couple of years. Till then, here is wishing ‘Parushurama’ a safe flight across continents and seas, and happy landings! 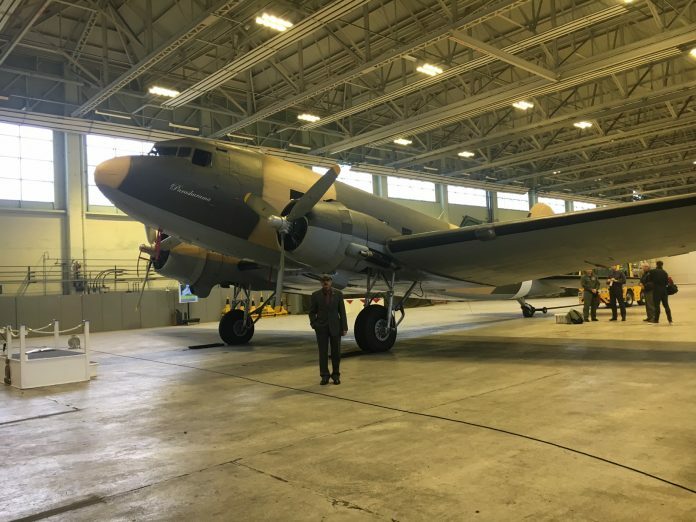 This article was put together after the author attended a function at RAF Benson on 12 April organised by the High Commission of India and RAF Station Benson to commemorate the takeover of the refurbished Dakota. It was reinforced with inputs from Mike Edwards. Arjun Subramaniam is a retired Air Vice Marshal from the IAF and currently a Visiting Fellow at Oxford.